I love a good glow. Short of slapping glitter on my face I'll pretty much do anything for super dewy skin. However, since the weather has been hotting up my usual highlight routine leaves me looking like a sweaty mess come lunch time. So I thought I'd share my top dewy picks that leave me dewy but not sweaty! This isn't an overly illuminating primer as the name suggests. But I'm not disappointed because it leaves my skin so smooth. It smoothes over all fine lines, pores and leaves my skin looking and feeling soft and fresh! Regular readers are probably bored of hearing about this! But this really is the perfect summer foundation. It's lightweight, easy to blend and looks so natural on the skin. The finish is demi matte. Despite it being lightweight and described as a tinted moisturiser it actually offers surprisingly good coverage. The staying power is incredible, it lasts all day on me. This is the perfect concealer and highlighter in one. It offers good coverage and really brightens up any area you add it too. I like to use it under my eye and occasionally down the centre of my face. The formula is brilliant - it doesn't crease, move or cake up. It's just a great all round concealer. To stop everything becoming sweaty and oily powder is a must. Although I tend to find most powders too drying for my dehydrated skin. So it's kind of a no win for me. But luckily Laura Gella has my back. This powder isn't drying at all but sets everything and stops it from getting oily throughout the day. It also blurs everything like nothing I've tried before. I like to apply in circular motions and it leaves my skin looking so smooth - not a pore in sight! This is the ultimate contour palette. The contour shades are brilliant (see this post for more details on that) but the highlight powders are so good for a matte highlight. My favourite is the Yellow shade. It subtilely adds light to cheek bones and looks brilliant in the picture! It is also sets under makeup really well too! For a glistening highlight that isn't too over the top and will last all day look no further. This is a stunning Champagne toned highlight that catches the light beautifully. This doesn't leave me looking sweaty or shiny throughout the day either. This Clinique Blush in the shade Peach Pop is perfect for adding a very subtle radiance to the cheeks. It has an almost sheen to it, that looks lovely on the cheeks. This lasts all day on me without turning shiny. The shade, as the name suggests, is a gorgeous Peach colour. I need to get more shades because I love it! 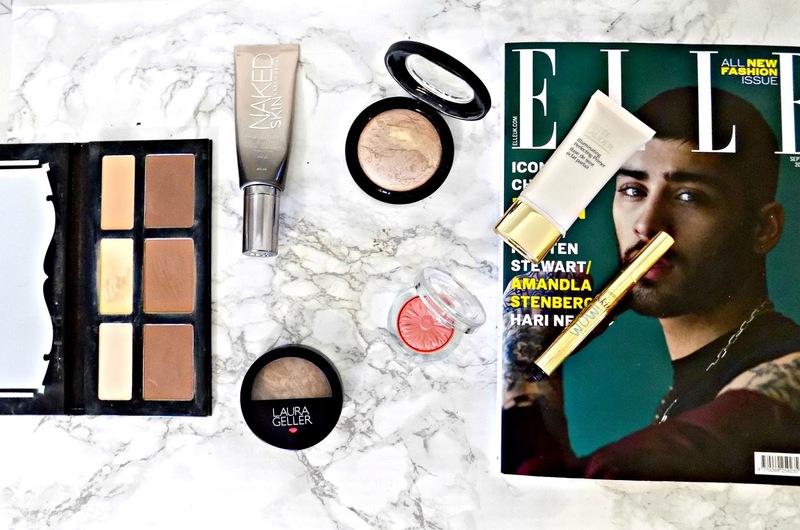 So they're my top picks for achieving a glowy look that won't turn sweaty. Have you tried any of these? What are your thoughts?